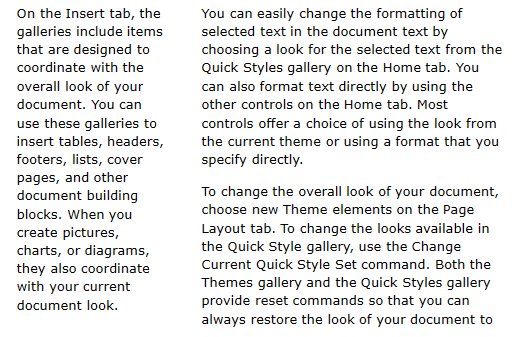 With the Section Columns feature, RadRichTextBox allows you arrange the text in a Section into columns. 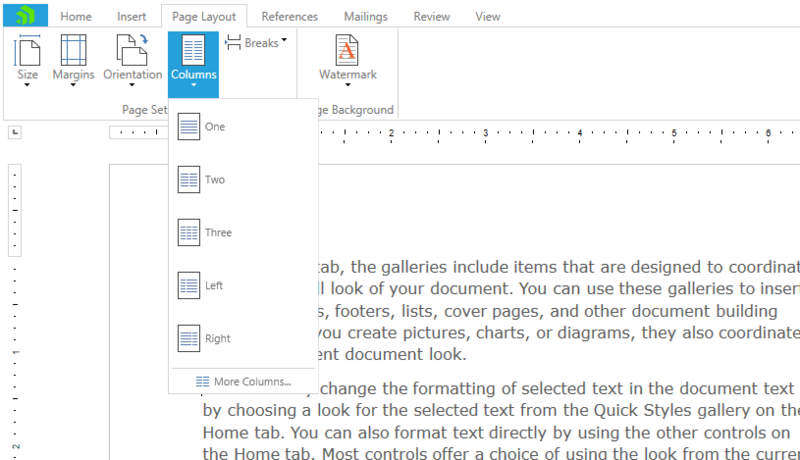 This article will show you how to use the predefined UI to arrange the text into columns with equal or different width. 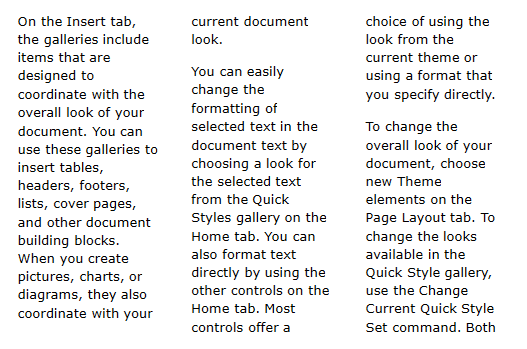 The Page Layout tab of RadRichTextBoxRibbonUI allows you set different types of section columns. 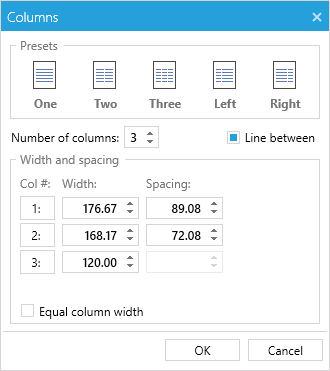 More Columns...: Opens the Section Columns Dialog that allows you set columns with custom width and spacing. When the Section contains columns with equal width, you can customize the width of a column through the Document Ruler. When the caret is positioned on a column, a thumb appears that allows you change the width by dragging it. Another approach for applying different settings to section columns is through the Columns dialog.